Did you do any painting on the Easter weekend? Apparently it’s one of the busiest time of the year for redecorating and understandably so with the weather improving and Spring in the air. Painting can be a tricky affair with errant drips going AWOL, but dripped paint can be a stylish and contemporary feature as these 21 items perfectly demonstrate. Part street art & graffiti, and part artist’s studio, the look of dripping paint adds an accessible modernity to a room. 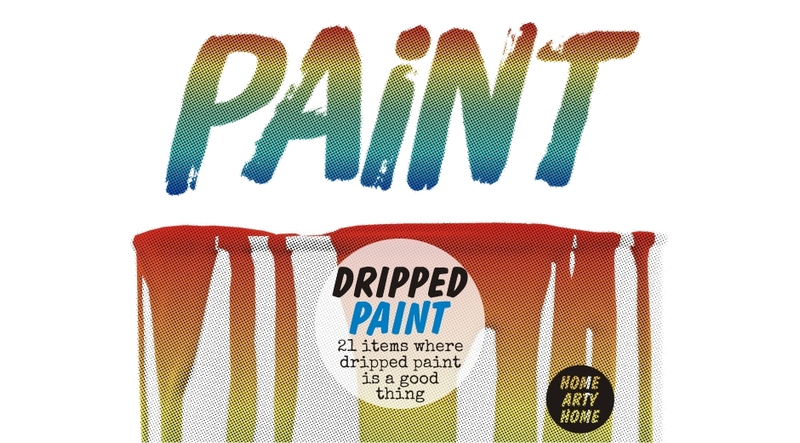 From personalised pop art prints to wall hooks and chopping boards that look like escaped paint, here’s my edit of the best drips. 1 & 2. 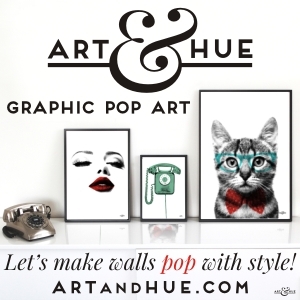 Art & Hue Personalise these dripping Paint Brush and Paint Pot prints at Etsy with a word or name of your choice. 7 & 8. Tate Shop The Tate’s online shop has a great selection of paint dripped kitchenware. 9. Artful Kids Love these wall hooks that look like dripping paint running down the wall. 10. Artori Design This clever napkin holder makes coloured napkins look like dripping paint. 12. Mineheart at Lime Lace Dripping paint on this cushion cover turns a classical landscape into a contemporary accessory. 19 & 20. Art & Hue Home Arty Home loves the rainbow blend of dripping paint that can be customised with a word of your choice. 21. Headsprung This dripping brushstroke is actually a magnetic wall memo board.